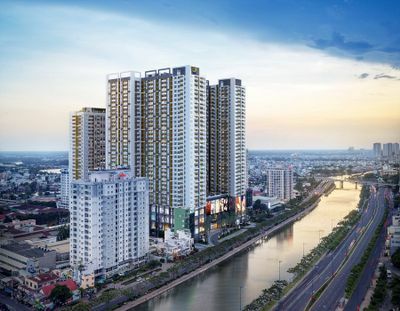 Thao Dien - An ideal place for many Expats choosing to settle down in one of the outstanding apartments in Ho Chi Minh City. Also, in the center of Thao Dien, Masteri Thao Dien is prominently in harmony with the hectic pace of life and peaceful green space. This project has a range of big buildings with the average of 60-80 square meters including over 400 modern and luxury apartments. The whole of Masteri Thao Dien features furnished which you have all the amenities in the apartment that you need. 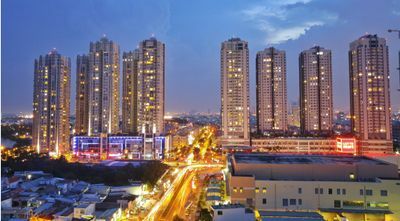 In combination with the international standard, expats can access to convenient stores, supermarket, shopping mall, swimming pool, entertainment center, and a playground for their comfort. It locates in the center Thao Dien in the district 2 which is contiguous to the front of Hanoi Highway. The road system is not only the life-line but also convenient for you to travel to the central place like District 1 and neighboring areas. 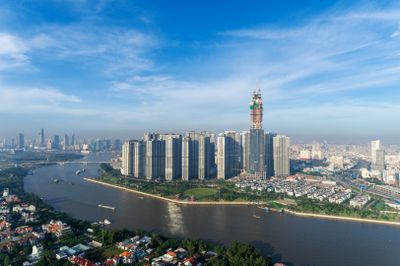 Moreover, it is potential for commuting with relying on public transport, which just a short time from Masteri Thảo Điền. It is the best choice for friends or families up to 2-6 persons who want both to be near the center place and save your own traveling expenses. From Masteri Thao Dien, only take: +7 minutes for traveling to District 1 +7 minutes for traveling to Thu Thiem New Urban Area +17 minutes for traveling to District 7 +17 minutes for traveling to International Airport Tan Son Nhat +30 minutes for traveling to Bien Hoa City (Đong Nai Province) +1 hour 20 minutes for traveling to Vung Tau City In apartments of Masteri Thao Dien, priority has been given to high standard interior design. What could you feel more easy-going than living here? Far from having so, you can come in for more project facilities including the parking lot, banking/ ATM, health services, and security guards. In addition, the project is great for education owing to closing to international schools in Thảo Điền area. The striking features of education make sure of contributing to children of residents’ education. A near campus collection involves European International School, ACG International School, International German School IGS, ISHCMC American Academy, Huynh Van Ngoi Primary School, Thao Dien pre-school, and An Phu High School. For sure, you can totally make the most of the pure air and the spacious environment when living in an apartment of Masteri Thao Dien project.